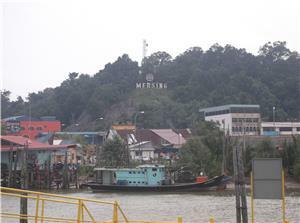 Mersing is a small town located in the east coastal of Johor State. It gains reputation and significance for two reasons, 1) it is the gateway to Tioman Island, which is the paradise for snorkelling and diving activities and 2) It is the one of the major towns located on the main trunk road that links up southern and eastern Johor with the east coast of Pahang state capital Kuantan. Numerous budget hotels can be found here that cater for tourists going to Tioman Island vacation and locals stop-by before heading to Kuantan. 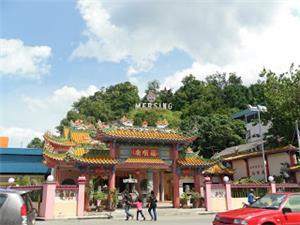 Mersing is easily connected with major cities of Malaysia by bus, for example from cities like Kuala Lumpur, Johor Bahru and Melaka (Malacca). The bus terminal in Mersing provides the platform for coach arrival from and depart for Johor Bahru, Melaka and Kuala Lumpur. Travellers who come from Singapore, can take S&S Express and Causeway Link from Johor Bahru to Mersing. The journey from Johor Bahru to Mersing is around 2.5 hours. The bus terminal is about 10-min walk from the jetty leaving for Tioman Island. If you have many baggage, you can hire a taxi which will cost approx. RM6 – RM10 per trip per way. For more information about Bus to Mersing, check out details from us today!